We received an order for a birthday present pop up card inspired by the Mystic blue birthday pop up card we've shown earlier. 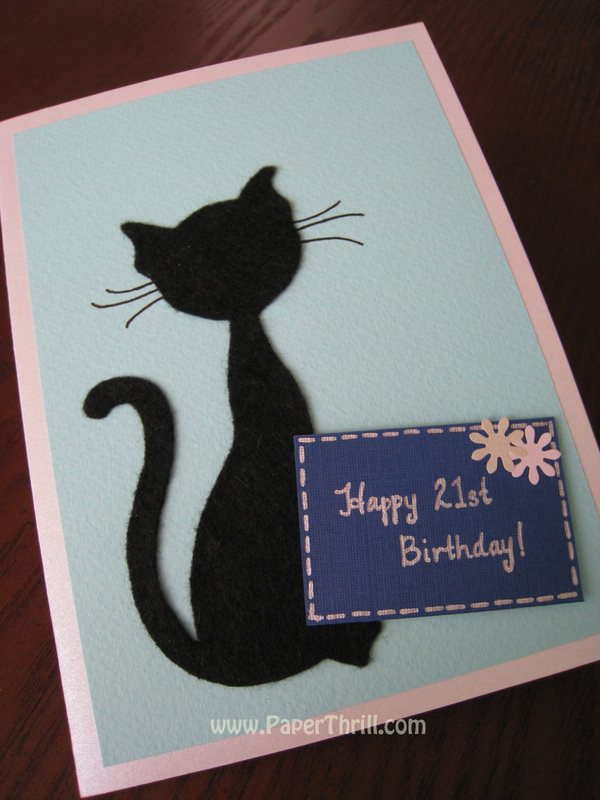 The customer wanted a black cat on the front and we cut out the silhouette from black felt. 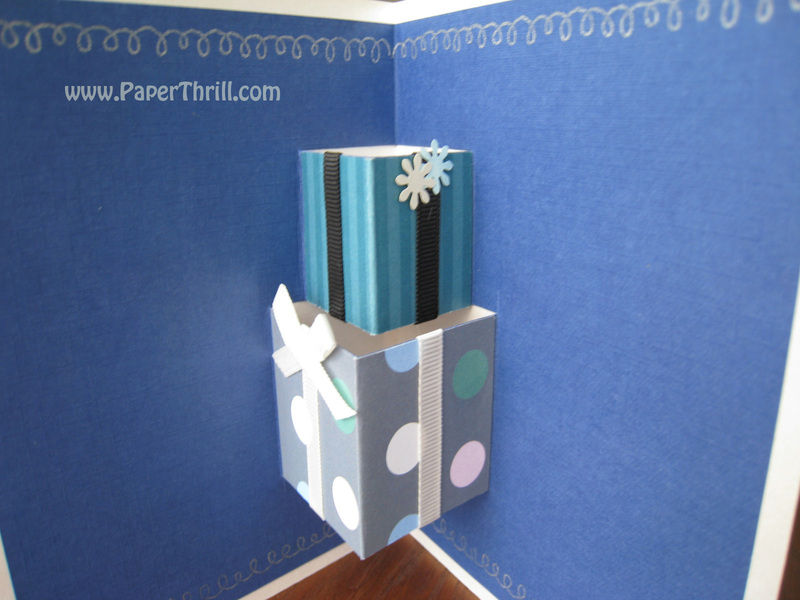 We also added a wish tag in front using foam adhesive for a 3D effect. 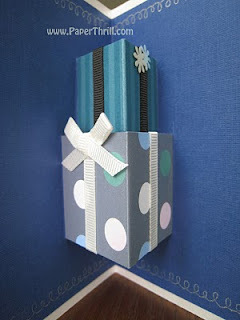 In keeping with the blue theme, presents adorned on the inside were wrapped in various pattern papers in blue hues and tied with various matching ribbons.